traffic you have on your site, the more likely you will see contact forms coming through, which means more customers. But, how do you get your website to the top of SERPS? More importantly, How do you get your website to the top of Google? As Search Engine Optimization (SEO) experts, a question we are often asked by our clients is, “How does SEO work?” So, we decided to put together a blog to better explain it. Before we can tackle how SEO works, let’s talk about how search engines work. We have all heard of Bing and Yahoo, but the big kid on campus always has been, and most likely always will be, Google. So, how does Google work? I like to look at Google as a business, because it is one. Google is a company that offers its customers access to websites all over the world by typing in a search on their website. Google accomplishes this with algorithms, or calculations, which use hundreds of factors to evaluate, compare and sort through millions of websites online based on the specifications of the search. 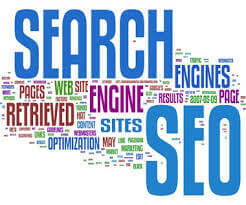 Then, to be even more efficient, Google’s algorithms kick it into high-gear and rank these websites from best match to least-best match, which gives the user a final list of websites to chose from (or as we call it, search engine results). As Google (and the internet) has evolved over the years, “Black Hat” or unethical SEO’s have found ways to trick Google’s algorithms into thinking their website is a reliable and relatable source of information when in fact it is not, thus shooting their website up in rankings. Not having it, Google begun to regularly update its algorithms to negate these bad practices and keep the websites that use “Black Hat” techniques out of their SERPS. 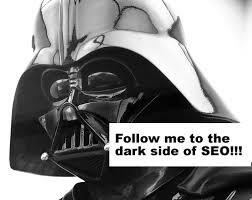 Ok, what does that mean for SEO? Search Engine Optimization is the practice of optimizing a business’s online presence to meet the requirements set forth by search engines. Easy enough right? I would say so, except Google has hundreds of requirements they take into consideration, and these requirements go far beyond a small business’s website itself. As SEO experts, everyone at Local Search Titan stays on top of Google Algorithm Updates and Announcements so that we can be sure that our clients websites are using the SEO industry’s best practices. We also have an intricate understanding of Google’s Algorithms, the hundreds of factors Google considers when ranking a website in its SERPS, and the tools to apply that understanding to a small business’s online campaign. We will never guarantee rankings, but we can guarantee our clients the peace of mind that we are meeting industry standards, and giving Google what it wants! Contact our SEO experts at Local Search Titan today for more information on how our SEO best practices can help your small business’s online campaign.